" Happiness is giving someone a gift "
Gift giving is a great feeling. Seeing the recipients face light up when they unwrap their gift is one of the main reasons we give them in the first place. But what do you give someone that already seems to have everything they already want? With so many special days and occasions dotted throughout the year, the pressure goes up to find a great gift. During special occasions, shopping centers can become packed with people trying to find the perfect present. It makes sense, then, to stay in the comfort of your own home and buy personalised gifts online where you have the time to try think through what you want rather than give a generic shop bought gift. Personalised gifts show you have put thought into your gift and you've really thought about the recipient. Generally, personalised gifts are treasured and will remind people of the time they were given the gift and they will remember that day for it. Personalising a gift will be special for whoever you've got it for and unique because it is something that no one else can give them. A few weeks ago I was contacted by Personlizedcart from the USA, and they kindly offered me to choose one of their products and review it. They have personalised and handmade gifts for all occasions and every budget no matter what is the occasion - birthdays, Father's day, Mother's day, wedding anniversary, Christmas or even for gifts for best friends too. So many meaningful gifts ideas that anyone would adore. 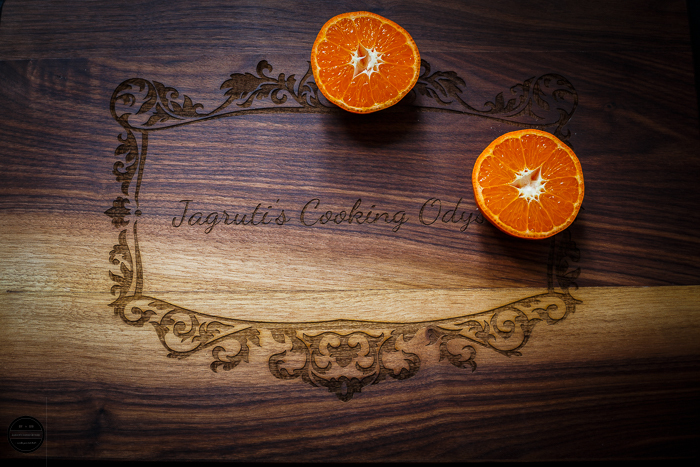 I chose a large size black walnut wood cutting board and chose a pattern H. For engraving I chose my blogs name ' Jagruti's Cooking Odyssey' As soon as I ordered my personalised cutting board, I did not have to do anything else. In less than a week I received my cutting board all the way from USA in mint condition. 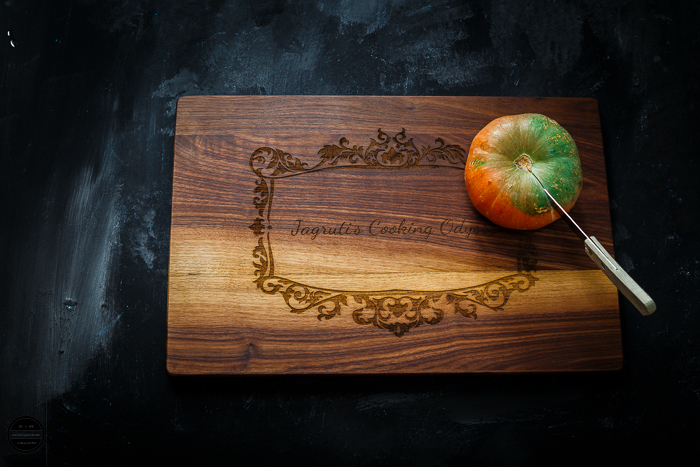 They took great care in sending their products to their customers, cutting board was well wrapped with appropriate packaging materials. I was so thrilled to open my package and it did not disappoint at all. 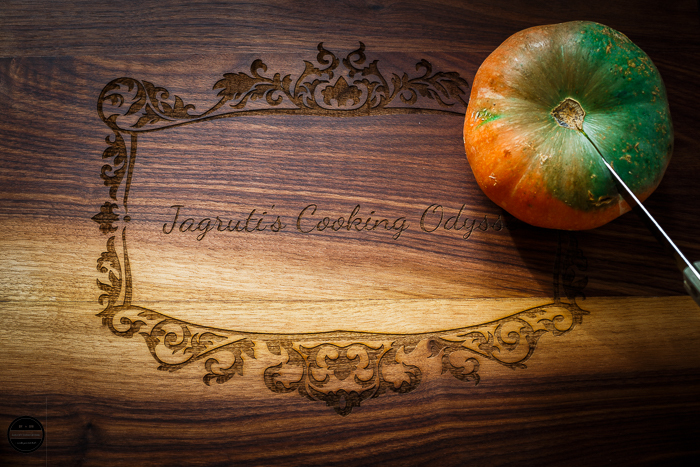 It looked so sleek and such good quality wood cutting board. 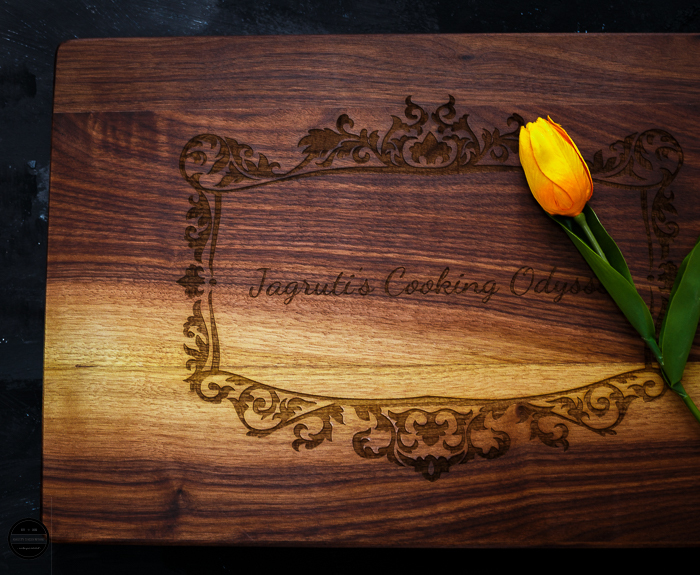 I have given this cutting board a special place in my heart and kitchen as this is personalised. 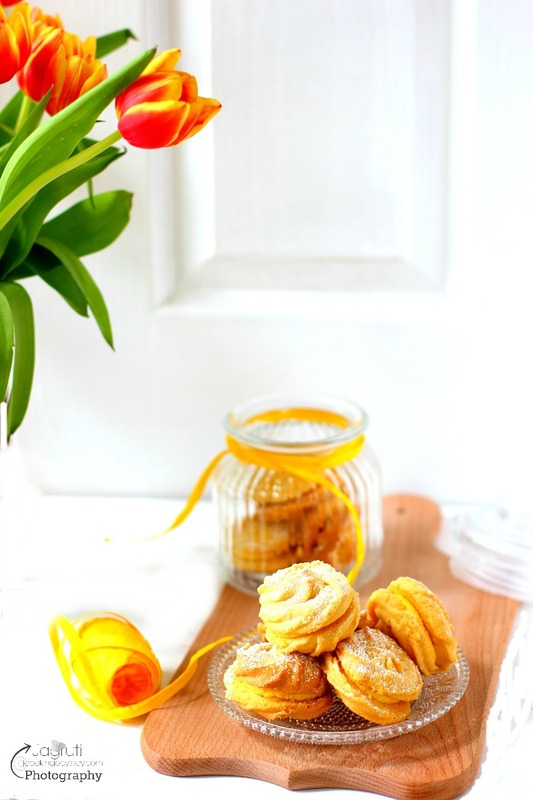 It's nice to think a little more than just giving your loved ones chocolate, flowers or cakes. 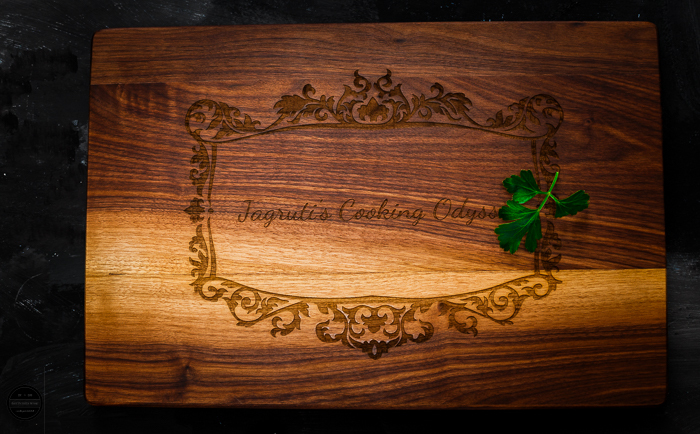 Disclaimer- I would like to thank PersonalizedCart for sending me a beautiful personlised engraved cutting board. I was sent this product for an unbiased review not told or paid to write a positive review. All the opinions are my own. This is really a prized collection for a blogger to have something personalized with blog name. Looks like very good quality wood. Excellent piece to own for a blogger! 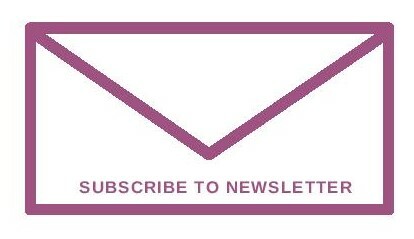 A talented blogger like you certainly deserves one. Your photography does great justice to the product and I am sure people will be flocking to buy these soon. Gifts are certainly a pleasure and when they are personalized ones like these, its a sheer delight! Happy for you! Must have collection for a food blogger.. While seeing these board itself you will be motivated to your brand to work hard..